Introducing Jewish STEM — Spirituality, Theology, Ethics, and Maggid. 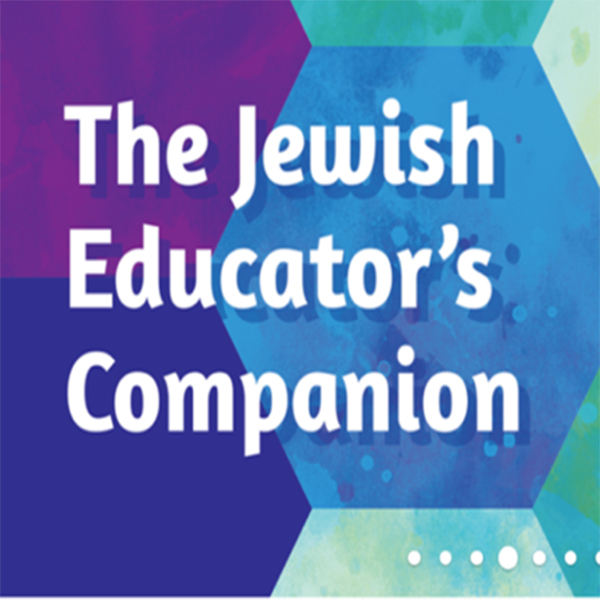 In the new essential resource The Jewish Educator's Companion: Practical Tools and Inspirational Ideas, educator Batsheva Frankel guides you to explore the depths of Judaism with your students in fun and thoughtful ways. The following is an excerpt. For a variety of reasons, our students sometimes resist their religious education. Perhaps it’s because they don’t know the secrets yet—the tricks, if you will, that make Judaism relevant and interesting—things by which to see Judaism in a whole new light, things they might want to try again and again. The secret is integrating Jewish STEM. One of the biggest trends in the secular educational world is the emphasis on STEM (science, technology, engineering, and math), which will hopefully better prepare our students, in a holistic way, for 21st century professions and jobs, most of which don’t even exist yet. In the Jewish educational world, we are trying to prepare our students for the future in a different, but equally important, way—perhaps even a more important way. So, what tools can we give students for success? What is the STEM equivalent in Judaism that will prepare our students for their future? When we integrate Spirituality, Theology, Ethics, and Maggid (storytelling) into everything we teach in a holistic way, we get our very own, very important Jewish STEM benefits. Why these four? Each of these areas is crucial to helping our students connect to their Judaism and how you can add them to your curriculum. Ask Jewish educators to name the most challenging topic to teach, and many might say t’filah. It really isn't about the mechanics of prayers—teaching the words or tunes. That's the easy part. More difficult is helping students find meaning in the prayers. How do students relate to the ancient language and imagery of the siddur? If they don't understand the words, it can seem like gibberish. They often aren't exposed to models of adults engaged in passionate or meaningful t’filah, so they don't see the value in it. Summer camp seems to be an exception, a place where campers not only participate, but also lead and feel ownership of their t’filah experience. How do we bring a visceral understanding into t’filah and rituals in non-camp settings? That is the big question. We know that in Temple times, instead of structured prayer, Jews brought korbanot to the Temple, which we translate as “sacrifices.” But the root of the word actually means to “draw near” or “show friendship.” This ritual directly connected people to God in a way we can't really understand today. To aid students in finding that relationship, connection, and meaning in modern times, it's helpful to explore what God is and how to engage with God through both communal and personal prayer. One of the biggest challenges in Jewish education is helping our learners understand the relevance and importance of Judaism. With younger students, in particular, we have many successes in this area. And yet, so many students leave their Jewish studies after their b'nei mitzvah, just when they are starting to contemplate the bigger questions in life (What is God? What is the meaning of life? Fate or free will? Why is there evil? Is there an afterlife?). Many kids never get a chance to explore these bigger ideas through a Jewish lens. Even students who do continue their Jewish education don’t always get to address these issues. As a result, they don't see the practical relevance of Judaism in their lives. Incorporating the big philosophical and theological ideas, even at the earliest stages of learning, and wrestling with important concepts and questions within a Jewish framework can help students more readily recognize the depth and breadth of Jewish thought and connect more powerfully. Unlike many secular subjects and texts that we might study, everything we teach and learn in the Jewish world is meant to affect us in some way—to change or refine us, and to help us grow. Studying Jewish ethics offers one of the clearest and surest paths. One of the main ways to study Jewish ethics is through Pirkei Avot (which translates directly as "Chapters of Our Fathers," but is often translated as "Chapters of Our Sages," "Ethics of Our Fathers “or "Wisdom of Our Sages”). Pirkei Avot provides a great resource to help us develop our ethical selves and can lay the foundation for a powerful ethics curriculum. Storytelling can be used to teach lessons in captivating ways, to generate conversations, and to entertain students, but it’s also a technique to help students open up to and connect with their teacher. It can also be used an effective classroom management tool. Judaism itself begins with a story. Whether Divinely written or inspired, or crafted by humans, the prime tool for teaching about our laws and values and the blueprint for our lives—the Torah—is mostly a grand story filled with imperfect heroes and heroines, various villains, challenging obstacles, important lessons, and lots of drama. What a great way to learn. Explore these ideas, and specific lessons and student activities to inspire you and your students, in The Jewish Educator’s Companion: Practical Tools and Inspirational Ideas, now available on Amazon.com.